Though I have left this blog quiet for various reasons (READ: life), sometimes life needs to be paused to reflect and allow gratitude to wash over us. Today, I will share time with my family, grateful for the simple pleasures afforded me by those whom I have never met and those gave their all. This morning, I wrote and posted this (see below) on my personal and TM Facebook pages. 1. Yesterday, as I surveyed my garden, I listened to the (relative) quiet around me.There was no sound of bombers or air raid horns, no sounds of tanks rolling down my streets, no children, mothers, or fathers crying out in pain. The white noise of my neighborhood is birds and cars and the occasional passenger jet. Afternoon thunder and the possible tornado warning stir fears, not IEDs or the sobs of refugees. 2. I looked at the various plants in my yard, re-awakening in their predictable fashion, and I was filled with gratitude that my garden– MY LIFE– is filled with wonderful predictability. 3. I thought about the people in war-torn countries, specifically, the women, mothers and daughters, whose lives are threatened and torn apart on a daily basis by evil. Then, I thought about my own girls. I thought about my mother, who lived during WWII and all the subsequent wars until her death in 2004. Had she worried with a mother’s heart about the future of her own children and her grandchildren? She must have. I thought about my father, who served during WWII and the fears he must have revisited every time a story of war made the nightly news until his death in 2001. Had he become numb to the horror of it all or found a way to compartmentalize it? Did the fears change when he became a father? There were horrors he never spoke of. 4. 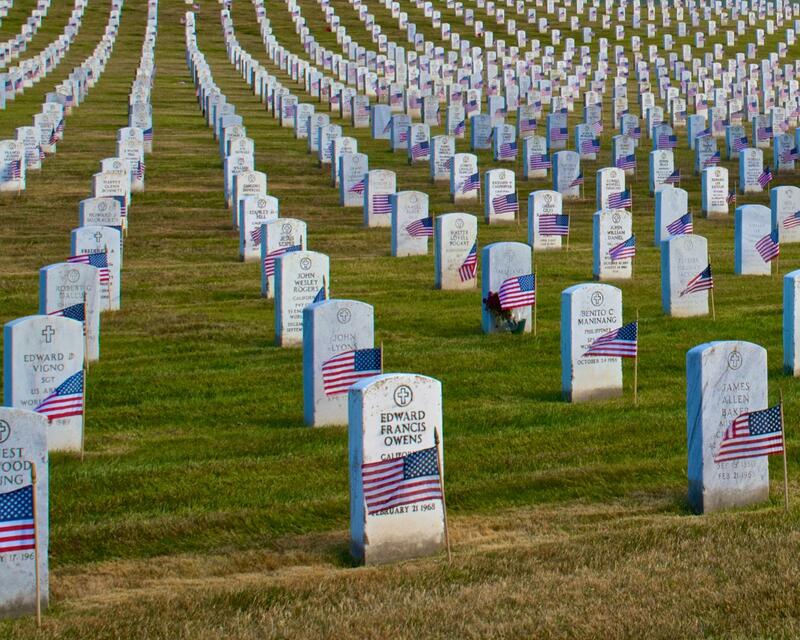 I pondered the difference between Veteran’s Day and Memorial Day. Whereas I am so very grateful to all that have and do serve and their families, there is a difference in these days. One celebrates all who have served, the other is to honor those that served and died while serving. 5. And then, I considered the BBQs and family gatherings that will take place across the county today, marking the “opening of summer”, and I realized these celebratory gatherings really are a way of honoring those that have fallen, by LIVING OUR FREEDOM OUT LOUD, gathered together, in our homes and in parks, toasting franks and marshmallows, WITHOUT FEAR. That is freedom. That is what the men and women who have fallen were protecting–our freedom to gather and to celebrate in individual ways, ways that make America diverse and America great. 6. So, I decided, as always, I want all to have a wonderful day as you gather with friends and family to celebrate the start of summer. But, this day isn’t happy for many who will be visiting graveyards, holding pictures to their hearts, or tracing the letters on a dog tag. Today is their day to remember, too. So,in addition to honoring those that have fallen, I ask you join me in honoring those family members left behind. Spend a few moments thinking about what you enjoy because someone gave you their all. Along with wonderful memory-making, today, I wish you all a contemplative day as you remember those that served, and fell, protecting your freedom. May God bless the fallen and may God bless those left behind that are mourning on this day.